NEW ORLEANS – Organizing to solve deeper political problems requires much more effort than the finger pointing currently under way at the University of New Orleans. The schools’ Faculty Council issued a vote of no confidence for Peter Fos, its president, a week before the University of Louisiana SystemÂ BoardÂ of Supervisors approved Fos’s plan to eliminate seven academic programs from the institution. Low enrollments and wanting completion rates were the cited reasons why the administration placed a bull’s eye on programs in education, geography, romance languages and political science. Rather than organizing to vote out university presidents, faculty would be better served by voting in a Louisiana governor who would restore higher education funding to pre-recession levels. Gov. 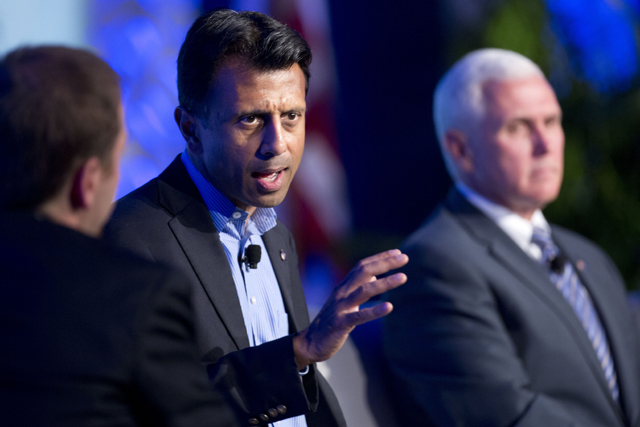 Bobby Jindal’s final term ends in January of 2016. University faculty in Louisiana’s state institutions can’t protect academic programs and their subsequent jobs from the chopping block by issuing “no confidence” votes against college presidents. These symbolic actions merely contribute to the problematic belief that you can cut your way to success. Unconvinced faculty members claim the fix was in before enrollment numbers for certain programs became apparent. Other faculty members assert that university data didn’t support the stated rationale or consequent action. “President Fos and the board apparently weren’t aware that we have an online version of our master’s program that is experiencing an explosion in enrollment,” said one skeptical professor. If correct, these accusations would certainly warrant a vote of no confidence. However, academic upheaval at several institutions reveals the links in a predictable chain of events initiated by a common problem far away from their respective campuses. Earlier in the year Southern University faculty called for system chief Ronald Mason’s ouster. In November of this year, the Grambling University faculty senate issued a no confidence vote for interim President Cynthia Warrick. These events are related. Scarce resources accelerate political activity. Related: What if a college ditched lecture halls, sports and clubs? Let’s not forget that from 2008 to 2012, LouisianaÂ cut its budget for postsecondary institutions by 28 percent or roughly $459 million. Hurricane Katrina certainly affected enrollments and budgets to certain institutions, but in 2007, Gov. Jindal eliminated revenue vital to higher education by repealing the “Stelly Tax” plan. Jindal also cut taxes for the wealthiest Louisianans. The recession was more than an excuse for state governors and eventually college presidents to do more with less. But there is no excuse for cutting revenue. The recession added insult to injurious statewide policymaking. It’s simply hard to cast blame on presidents in the face of rising costs, stagnant or declining enrollments, and less than adequate funding. However, faculty should find fault with college presidents and state higher education officials who willfully accepted the shovel of the Louisiana Grad Act from the same policymaker who created the fiscal ditch. Gov. Jindal said the policy of the Grad Act would provide “universities increased autonomy, flexibility in exchange for commitment to raise graduation rates.” The thinking here is that increased retention and graduation rates will yield increased revenues and quality, which inspires growth. By agreeing to increase the minimal ACT score required for admission, higher education officials also accepted the thinking that raising ACT scores reliably predict for increased graduation rates. However, “there is no significant difference in the success rates of students who submit their standardized test scores to colleges and those who don’t, according to “Defining Promise: Optional Standardized Testing Policies in American College and University Admissions.” This new study confirmed what many admissions offices have known for some time. Grade point average, GPA, is still the most reliable tool colleges and universities can use to determine fit as well as how to support a student towards graduation. The imposition of cutoff scores hurt universities like UNO, Southern and Grambling by removing autonomy to select the students they deem fit. Also, these institutions have historically served students with a greater range of performance on the ACT. By “raising the bar,” institutions only limited the pool of students they should educate. So the Grad Act actually removed autonomy and student choice. An aside – too many faculty actually blame K-12 preparation for low retention and graduation rates. College student success is still largely a function of faculty-student interaction, campus climate (including racial climate), counseling, financial aid, scheduling, and student affairs support. Let’s stop blaming students and public schools. As a former UNO professor and administrator, I certainly wanted to see then UNO Chancellor Tim Ryan attain more foundational and corporate funding. I also wanted the university to attain more quality student outcomes by placing more attention on student persistence and retention than incoming test scores. But when you have a state chief who continues to devalue higher education, college presidents will continue to manage their own downfalls. We faculty must quit acting as if we’re not citizens and get more politically engaged. Know that professors are a powerful constituency. Understand the fiscal environment isn’t likely to change if a similarly oriented governor is elected. Through the ballot, we can demand the funding needed to maintain programs that may be show low enrollment but provide a great service to the community. For instance, to cut special education programs at UNO, in a city that is known for a lack of special education services, seems absurd or a horribly missed opportunity to serve. It’s time to get out of the Ivory Tower and elect a state governor who will allow you to see what effect a college president can actually have. Faculty should learn a lesson from their struggling college presidents. You can’t cut your way to success.